AfghÁnistÁn is a country of Asia lying between parallels 29° and 38°35′ of north latitude, and 60° 50′ and 74° 50′ of east longitude, with a long narrow strip extending to 75° east longitude (Wákhán). For the boundaries, see The Statesman’s Year-Book for 1925, pp. 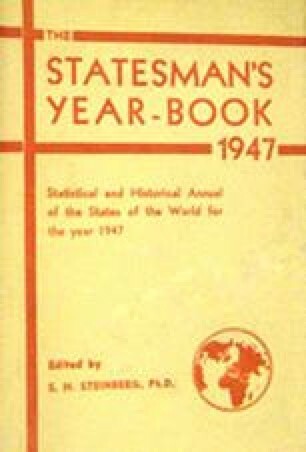 654–55; for the treaty of November, 1921, see The Statesman’s Year-Book for 1928, p. 642; and for earlier British relations with Afghánistán, see The Statesman’s Year-Book for 1916, pp. 662–3.